Sant Josep de sa Talaia (also known as Sa Talaia de Sant Josep or San José, in Castilian) is the most extensive municipality on the island of Ibiza, in the Balearic Islands, located in the southeast of the island,close to the airport of Ibiza. It was named after the mount Sa Talaia, the highest hill of the island, with 475 meters of height. 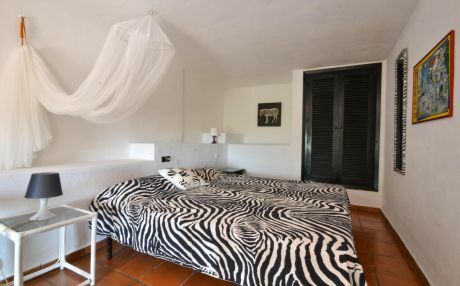 In Sant Josep de sa Talaia, you will find both the tranquility of a small town and the fun of the Ibiza night. 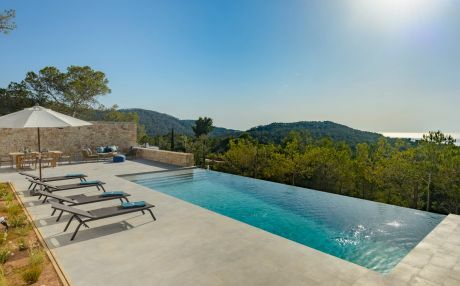 To make the most out of your holiday, it is important to plan your schedule as soon as you unpack in your rental holiday villa in Sant Josep de sa Talaia. Wondering what to do in Ibiza in summer seems like a joke, because there are so fun many activities, like going to concerts and parties, as well as admiring its beaches and coves. While you are in Sant Josep de sa Talaia, don’t forget to take a long walk in Dalt Vila (the old and walled town of the center of Ibiza) and dance to the rhythm of the drums of the parties of Benirrás. It is very simple: everything related to the sea, like fish, seafood and rice with seafood. The most common dishes you will find in the charts of the restaurants of Sant Josep de sa Talaia are: borrida de ratjada, pescado en salmorra, bullit de peix, guisat de peix and frita de pulpo. Sant Josep de sa Talaia del Río is a typical Mediterranean and seafaring village where you can spend an incredible summer vacation with your family, friends or couple. In Sant Josep de sa Talaia, you will find a great variety of holiday villas where you can comfortably stay with more space and privacity. 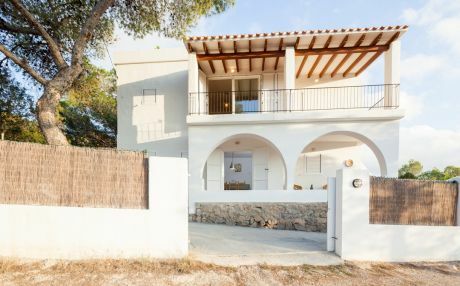 Do not worry if you are traveling with children to Sant Josep de sa Talaia, as it is a children friendly location, especially if you stay in a rental holiday villa with pool. This locality is more a family friendly tourist destination than a night one. In addition, on the island there are water parks, all kinds of nautical activities to do with the little ones and children friendly beaches with all kinds of services. Before returning to your holiday villa in Sant Josep de sa Talaia, take a look at our guide featuring the best coves in Ibiza. Take the time to make an excursion to Formentera, where tourists boats leave several times a day. Sant Josep de sa Talaia is located in the same municipality than the Ibiza airport. It is 7.5 km from the center of Ibiza. Both Sant Josep and Ibiza feature regular buses from the airport, which double their frequency in summer. City buses are the most affordable way to get around the city, so you will not find it difficult to reach our villas in Sant Josep de sa Talaia. Alternatively, you can arrive by boat to Ibiza and from there to Sant Josep, in any of the national departures from Barcelona and Valencia. 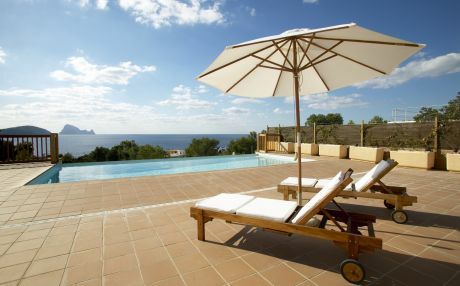 You should know that, if you have chosen to spend your holidays in a rental villa in Sant Josep de sa Talaia, on the island of Ibiza, you just made a great choice! 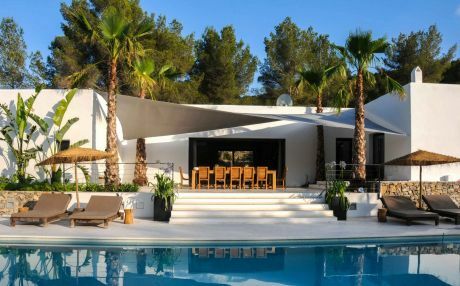 Sant Josep has a privileged location on the island of Ibiza, near all its hot spots, which is highly convenient to make the most out of your visit. Sant Josep de sa Talaia is a small and charming municipality, which receives lots of families every summer which love to accommodate in rental villas with swimming pool, to enjoy a holiday free of schedules and the luxuries and comfort of a villa with garden. 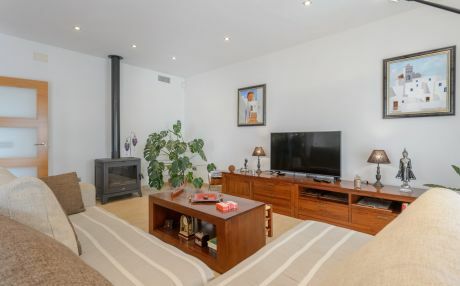 Another great thing is that rental holiday villas come out much cheaper, since they are certainly more affordable than other accommodation options. 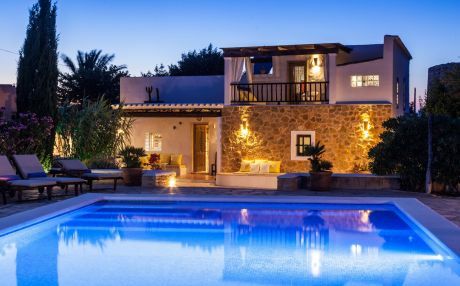 In addition, rental holiday villas are an ideal accommodation alternative if you are traveling in a group, with friends or your family, as they offer all kinds of luxuries. 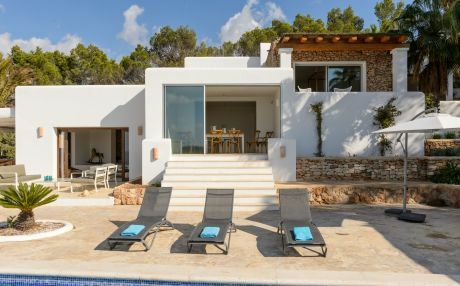 On the other hand, most of the rental holiday villas in Sant Josep de sa Talaia have a private swimming pool where you can relax after a day at the beach and excursions on the wonderful island of Ibiza. Give yourself a mud bath, watch the sunset over the sea, enjoy a good mojito in a beach bar at any time of the day and simply do what pleases you the most during your holidays in Ibiza.